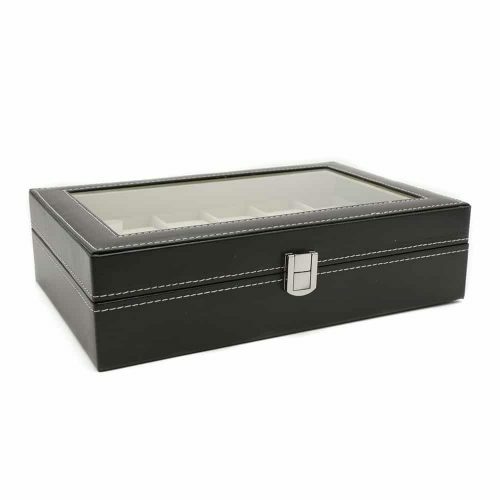 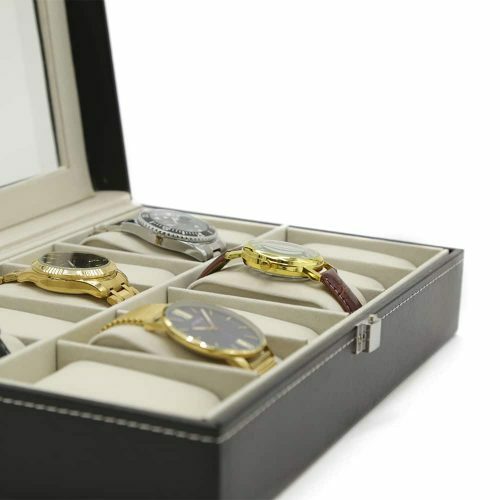 This Black 6 Grid Watch Box allows you to both display your collection, and keep it scratch-free. 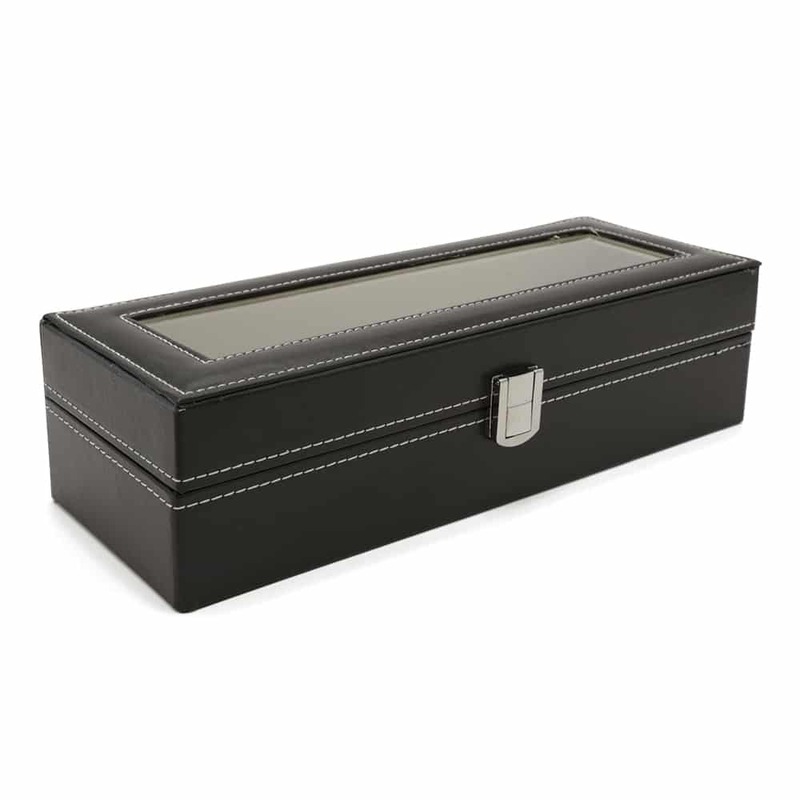 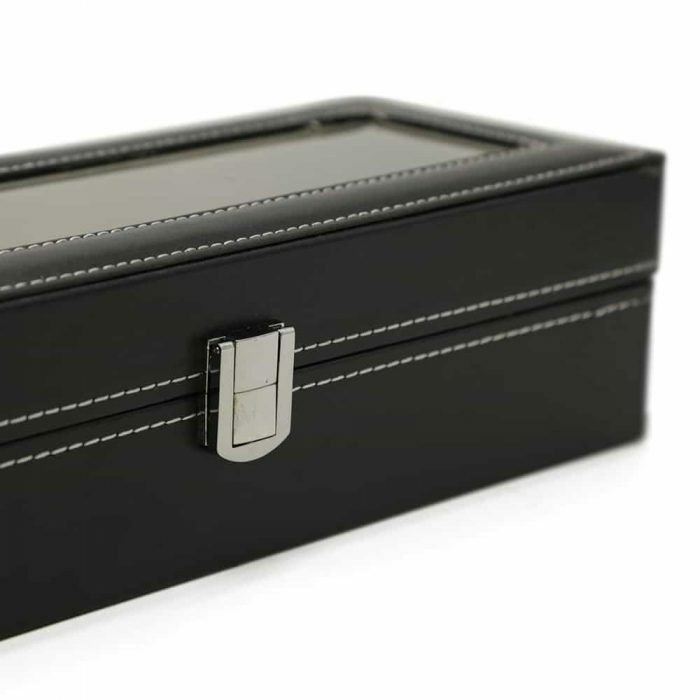 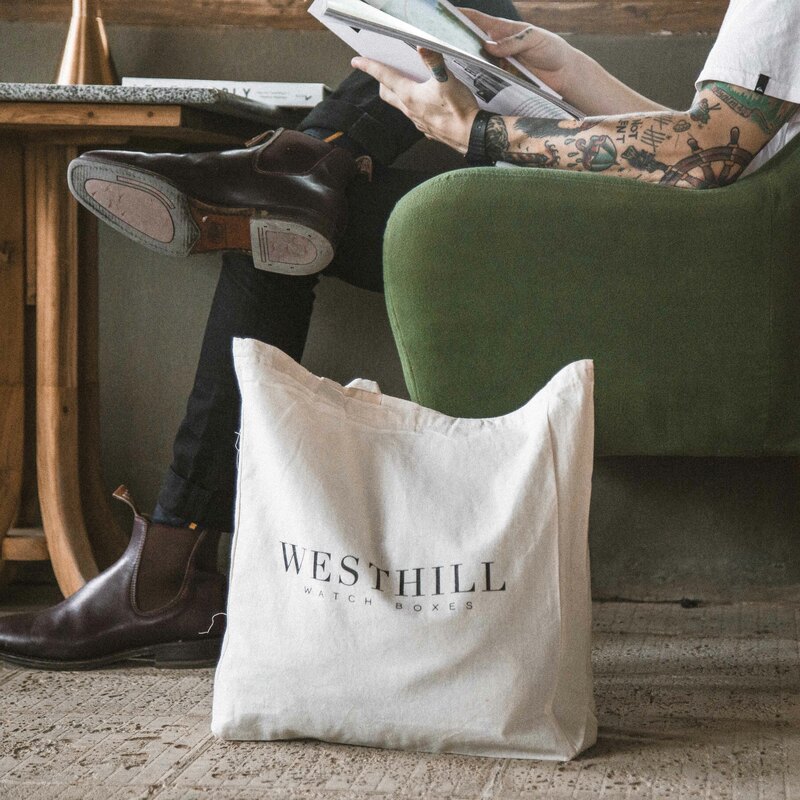 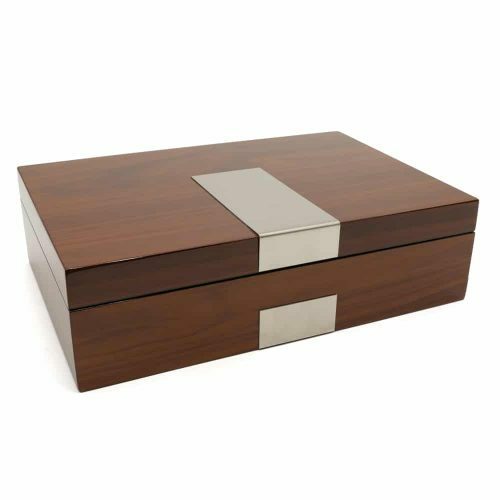 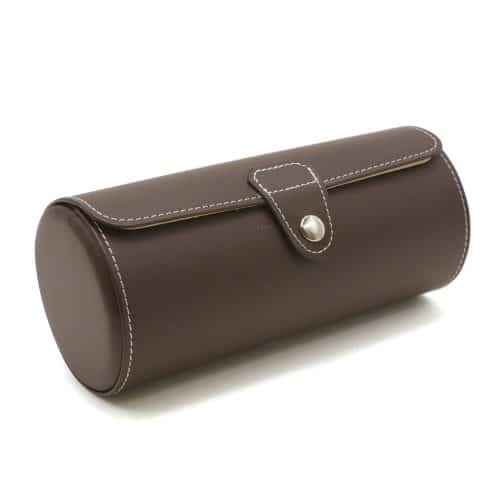 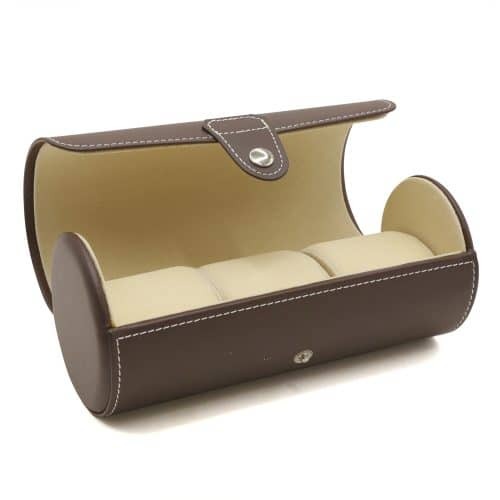 The box is made with a high-quality PU leather with white stitching. 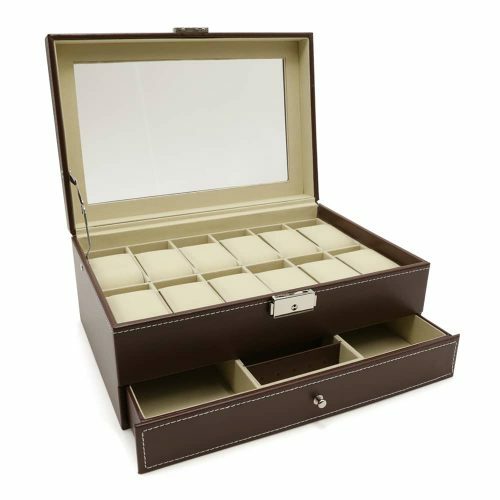 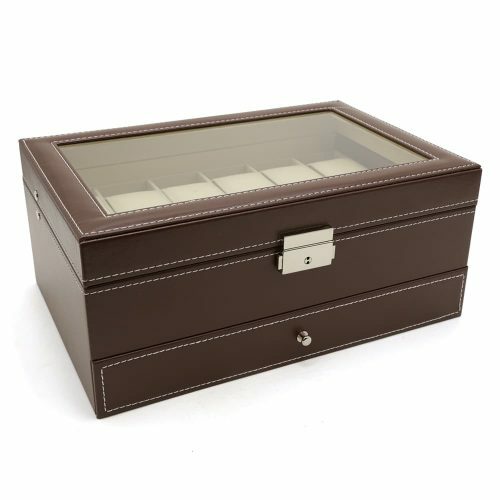 It also comes fitted with silver features including a front clasp to secure your valuables. For easy viewing, it comes with a see-through panel on the lid allowing you to easily select your watches from your collection. 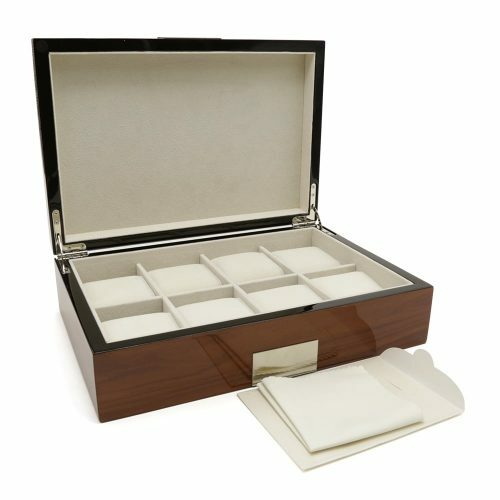 Inside, it has a grid for 6 watches fitted with a soft cream velvet interior. 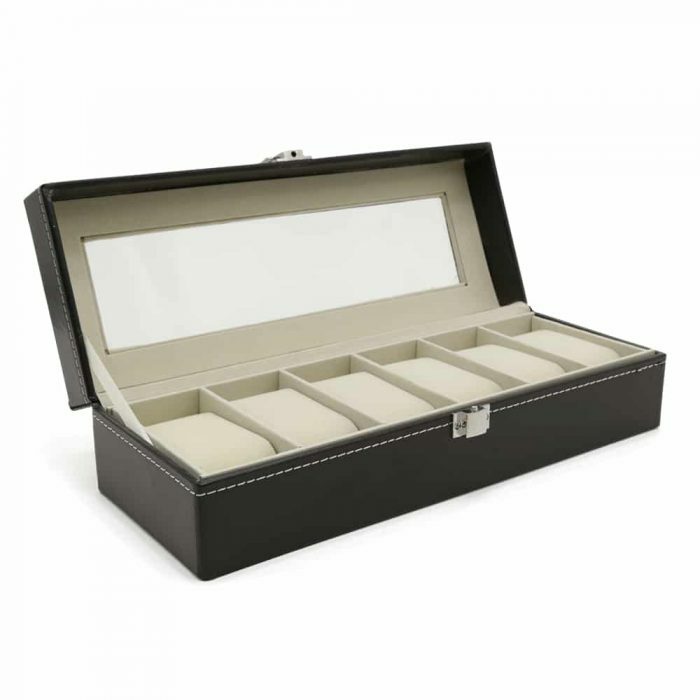 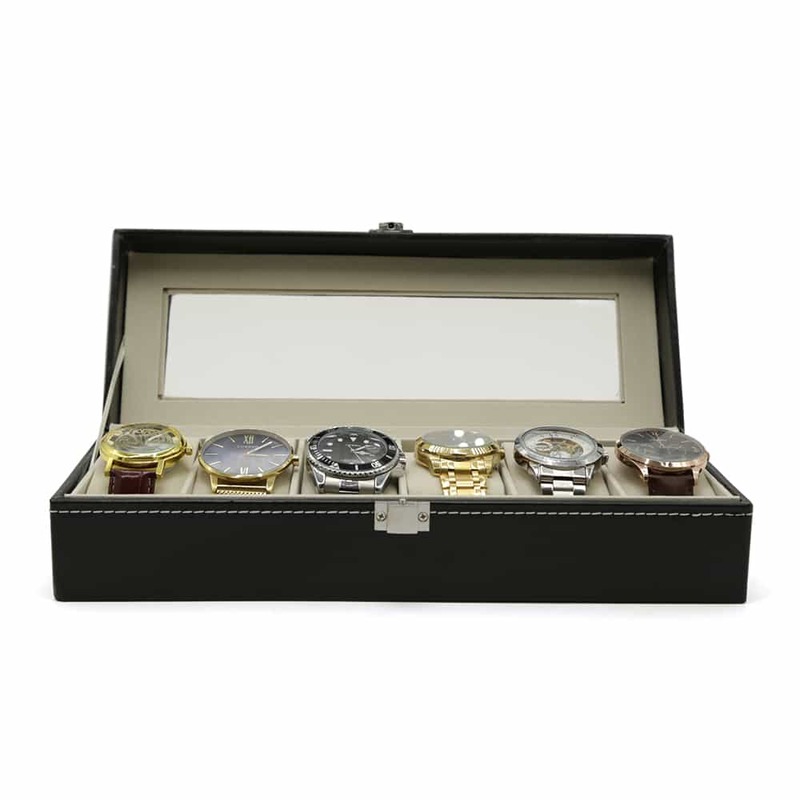 Included with the box are 6 pads that are easily removable to ensure the watches are cushioned and displayed properly.